The city of San Luis Obispo has announced that, in 2017, it received the lowest number of noise complaints on record. Last year, SLO received fewer than 1,500 noise complaints, a reduction of more than 40 percent from 1998, a city press release states. 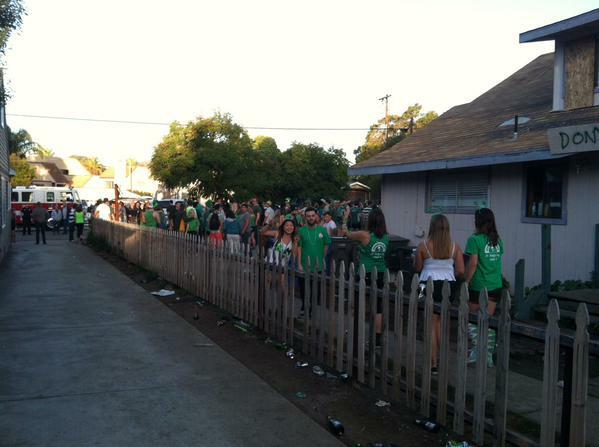 The city attributes the reduction in noise complaints to efforts made by Cal Poly and the San Luis Obispo Police Department to improve relations between the student community and SLO residents. Specifically, San Luis Obispo officials cite several city initiatives over the last 25 years as having led to a reduction in noise. The initiatives include a noise and unruly gathering ordinance; “safety enhancement zones” for holidays like Halloween and St. Patrick’s Day; a neighborhood officer program; and a neighborhood wellness working group. Also in 2017, the police department unveiled a pilot program encouraging students to register events in advance in order to avoid fines for noise and other violations. Since the program’s inception, the department has received 46 party registrations, 34 of which police approved and issued no citations. Officers did, however, make five warning phone calls for noise complaints over registered parties. In recent years, Cal Poly, too, has expanded its efforts to hold students accountable for noise and off-campus behavior. The university launched the Noise Awareness Campaign and Educated Renter Certificate Program, in which it distributed information about city ordinances and hosting parties responsibly. Cal Poly has also encouraged community involvement through events like Good Neighbor Day and Cleanup Week. Likewise, university officials have conducted outreach to leaders within student government, Greek life, clubs and other organizations. Additionally, Cal Poly remains in constant contact with a neighborhood wellness liaison in order to address incidents as they arise. The students might be quieter in SLO, but I’m curious if the number of police calls for unruly transients in SLO is on the rise? Living in SLO, my sleep and overall quality of life has been disturbed more in recent years by disruptive homeless people than it ever has by students. Besides, I’d much rather have my sleep disturbed by a bunch of drunk and unruly future engineers and architects; than be awakened by a group of tweekers fighting at 4am over who stole who’s dope. “Less Noisy” you mean quieter? This wasn’t about homeless, it was about the behavior of Students. Hahaha, Not in my neighborhood !